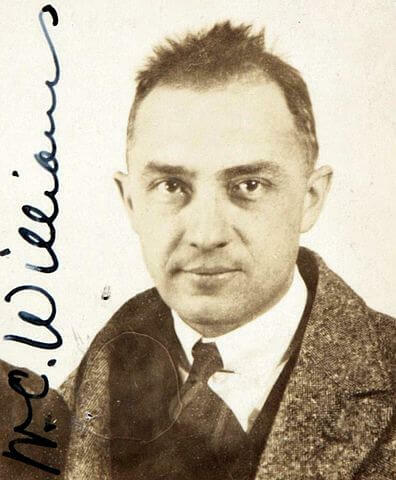 William Carlos Williams (1883 - 1963) was a Puerto Rican-American physician and poet best known for his modernist and imagist poetry. He collaborated with painters and other writers throughout his career. Though he is best remembered for his poetry, Williams served as the chief of pediatrics at Passaic, NJ General Hospital from 1924-1963. His most famous works include the five-volume epic poem about life in his hometown, Paterson (1946-1958), and The Red Wheelbarrow , from his 1923 collection Spring and All . Williams influenced the younger poets emerging in the 1950's in San Francisco and inspired the "Beat movement." He served as mentor to Allen Ginsberg and wrote the introduction to Ginsberg's landmark first collection, Howl and Other Poems (1956). 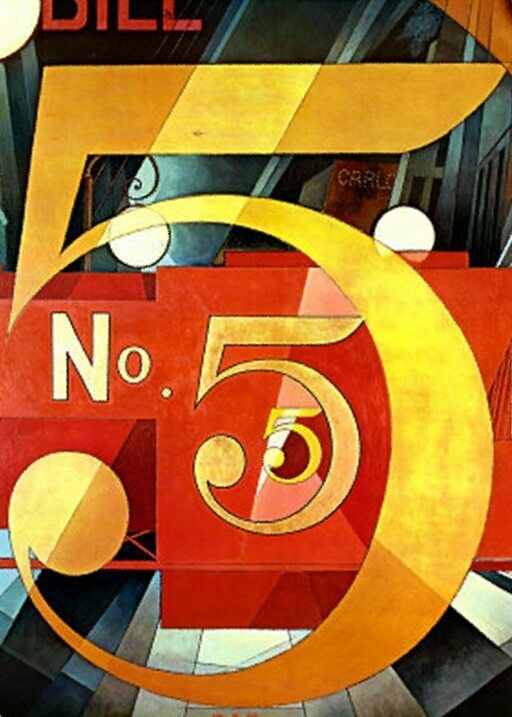 Charles Demuth's painting below, "The figure 5 in gold" (1928), perfectly complements Williams' The Great Figure. "There is no thing that with a twist of the imagination cannot be something else. Porpoises risen in a green sea, the wind at nightfall bending the rose-red grasses and you—in your apron running to catch—say it seems to you to be your son. How ridiculous! You will pass up into a cloud and look back at me, not count the scribbling foolish that put wings to your heels, at your knees."